Summer is a great time for family and friends to reconnect, renew, reflect, and relax. And theres nothing like heading out to an outdoor festival or planned summertime event. Unfortunately, violent crime rates increase during the summer months, especially in larger cities. So its crucial to plan ahead and choose your security service early. But what are some simple but effective tips for keeping everyone safe during summertime events? Regardless of the venue or type of event, theres no doubt youll hope everything goes off without a hitch. But thats highly unlikely. Its great to hope for the best and maintain optimism, but dont let idealism override common sense. The safety of your guests is paramount, so its essential to plan thoroughly for that early. Make sure all staff members know evacuation procedures and protocol for themselves, performers, VIPs in attendance and all guests. Document everything from everyone on the property that day (not just the guest list) to the daily schedule and any and all unexpected changes. Have an emergency contact list ready, preplanned route(s) to the local hospital, and fully formed lockdown plan for the venue in case its needed. Hopefully, it wont be but the extra preparation can be a lifesaver. A technology of some kind can be used in any size event, regardless of venue or guest capacity. Small events may simply require staff to communicate via radios or walkie-talkies. These items can work well for organizers, caterers, and even undercover security personnel to maintain constant communication among staff and event hosts or managers. But for larger venues, CCTV cameras offer a bird-eye view so your security can easily target and redirect threats while working more efficiently to maintain order and safety when it matters most. According to global research, there are almost 250 million active video surveillance cameras globally, and 20% of those are high-powered CCTV systems. Asia accounts for approximately 65% of those cameras, but America leads the pack per capita with 125 active video cameras per 1,000 residents. And with the way the world has been going thats far from overkill its smart. Professional video surveillance can be overseen by on-site employees or captured and viewed off-site so any shady activity is immediately flagged and reported to the proper authorities. After all, an extra layer of security never hurts. Just the presence of well-marked security guards can create an extra safety shield for any sized event. But they can do far more than simply look intimidating. Fully trained security guards can be armed or unarmed based on the event needs. They can handle multiple duties including crowd control, parking needs, video surveillance, as well as potential crime control and determent. Many professional security guards have a military, medical, and police backgrounds or related experience. So they may also be able to help with first aid or other medical issues, enforce lockdown or exit protocol, and recognize and defuse targeted threats that may otherwise be too subtle to notice until its too late. 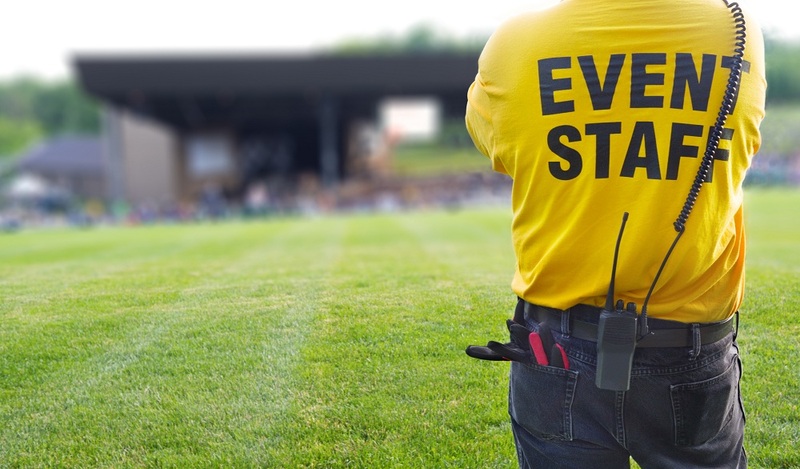 Whether you need to hire professional security guards or simply amp up your summer security in other affordable ways, we have the experience and solution to meet your needs.